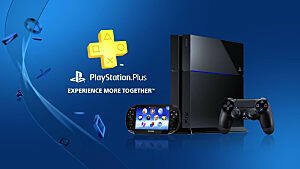 In 2016 it is rare to find you’ve had a unique gaming experience. We are often overwhelmed as gamers by a myriad of titles we’ve played before. The open world sandbox. The first person shooter. Rarely do games within these genres achieve more than being prettier than their predecessor. 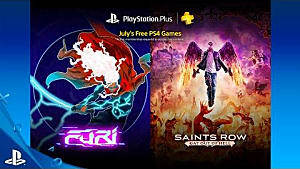 And so upon reviewing my backlog of Playstation Plus freebies, I decided to give The Game Baker’s Furi a chance. The game’s intentionally ambiguous opening left me with numerous questions. Who is the mysterious Samurai-like warrior being held captive, within this futuristic floating prison? Why are you here, being tortured by a mysterious multi faced individual known only as the Jailer? And why does this mysterious individual, donning a rabbit mask, seek to free you. From there you progress through several stages in an endeavour to return to the planet below. With each stage you enter a new world, each varied in colour and aesthetic. 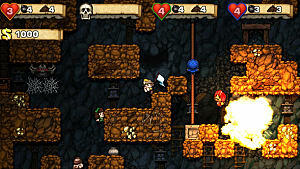 With each stage you face another jailer, tougher than the last and demanding a unique tactical approach. And with each new stage, the mysterious man known as ‘The Voice’, through riddlesome dialogue, provides tid-bits of information on who you are, and the greater plot at large. 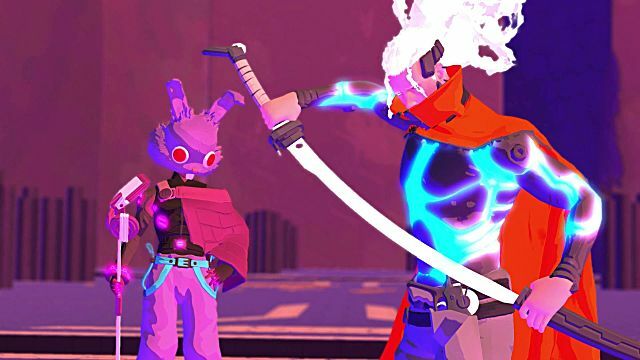 One of Furi’s greatest selling points is its stylish aesthetic. 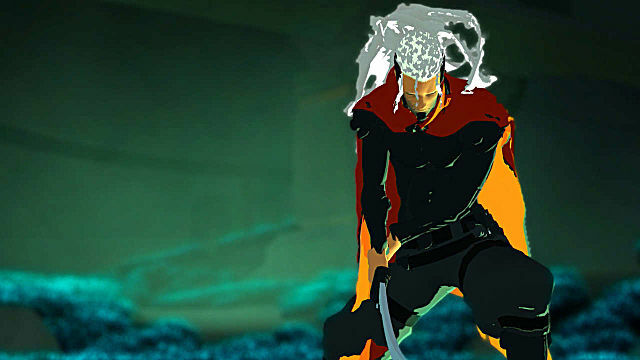 The protagonist known as ‘The Stranger’, in his silent nature, sword fighting finesse and outward appearance, seems inspired by the titular character of Samurai Jack. His companion, with his disturbingly eerie rabbit mask and psychologically manipulative dialogue, brings back memories of the cult classic Donnie Darko. While the overall games flare for style, and soundtrack give the entire experience an 80’s sci-fi/dystopian vibe. The world looks as if it has been hand painted, with neon lights encrusted into the characters designs and weapons. Techno music building the pressure as you walk towards your next challenger, then rising and falling, appropriately in unison with the flow of the fight. Furi’s gameplay is impeccable. The Game Baker’s nailed the aesthetic, nailed the style and tone of their simple narrative, but most importantly have nailed gameplay. It’s just as simple as the other pillars that hold this game together, but is executed masterfully. Within each stage you pass through a world. You are limited to a single mechanic, walking. But during this time, as the player, you are partial to the stunning vistas around you, and have time to take in the confusingly foreboding words of The Voice. You then come to your destination. Facing your adversary, you quickly launch into battle. 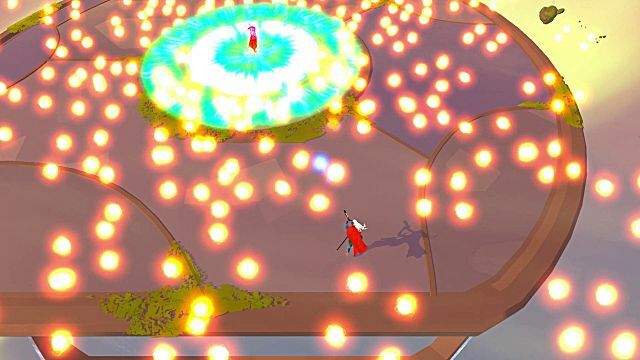 Each of Furi’s bosses must be defeated in a multitude of stages. Each one ramping up the difficulty just a little more. The Stranger’s foe is drastically different from the last, both in how they are designed and how you must tackle their engagement. The two main mechanics you will switch between, and use in varying degrees depending on the boss, are hack and slash sword fighting and twin stick shooter, long range action. 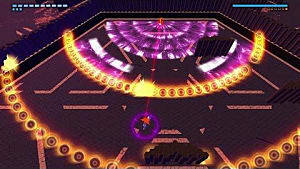 The Hack and slash combat is up close and personal, the camera moves to a traditional 3D action game perspective. While the twin stick shooting allows you to fight from a distance, while dealing with an unbelievably intense barrage of energy blasts and waves fired in every direction. In either scenario, you live and die by your reflexes. Knowing when to dodge and when to block. In both forms of combat, these choices and your ability to execute them at the right time are a necessity. Blocking an attack using your sword can allow for a powerful parry and a chance to regain some health if you time it right, yet this can be a devastating blow if you’re off by just a second. The dodge mechanic provides the protagonist with a quick boost of speed in a single direction, during which time The Stranger is momentarily invincible to harm, allowing them to pass through deadly projectiles that might otherwise be unavoidable. 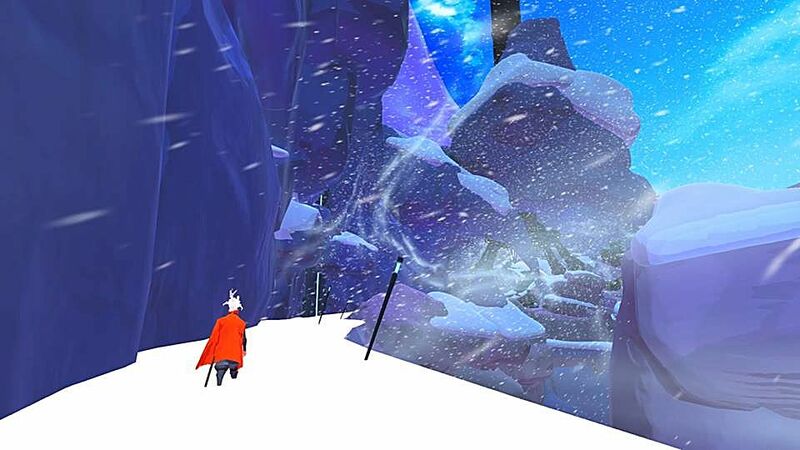 Furi’s combat is incredibly challenging, and although at times I found fights particularly demanding on my exhausted fingers, I never felt cheated. However, for those seeking to enjoy the game's narrative, The Game Bakers have provided a more scenic way of experiencing Furi. The first option they offer, which I highly recommend, is to have your character automatically move through the walking portions of the game. 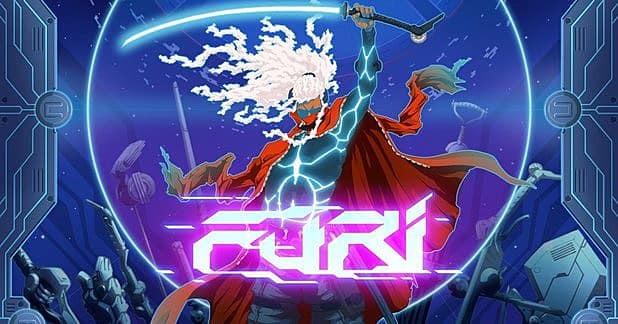 The only major gripe I had with Furi was its unintuitive and frankly clunky movement outside of battle. As you walk towards the next Jailer, you methodically control the character as they move through the world. Every few steps the camera angle changes... and so does the direction you need to aim the joystick to continue walking forward! This continuous readjustment was incredibly jarring. However by merely pressing X, your character will move forward without assistance, allowing you to take in the story and gorgeous environments. The second step towards an easier appearance, I certainly do not recommend. Every time the player dies they are offered the chance to lower the difficulty. 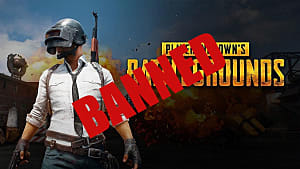 Upon doing so the player will have a far more relaxed experience, and can freely enjoy the narrative but will be unable to increase the level of challenge at any point. Upon trying this mode, I found it almost completely altered the game. On the normal difficulty Furi’s battles lasted between 5 to 10 rounds, each one more gruelling than the last. Some encounters lasting over 40 minutes. However much of Furi’s fun, similarly to Dark Souls, comes from learning the movements and attacks of each boss, dying again and again, and finally mastering the timing. 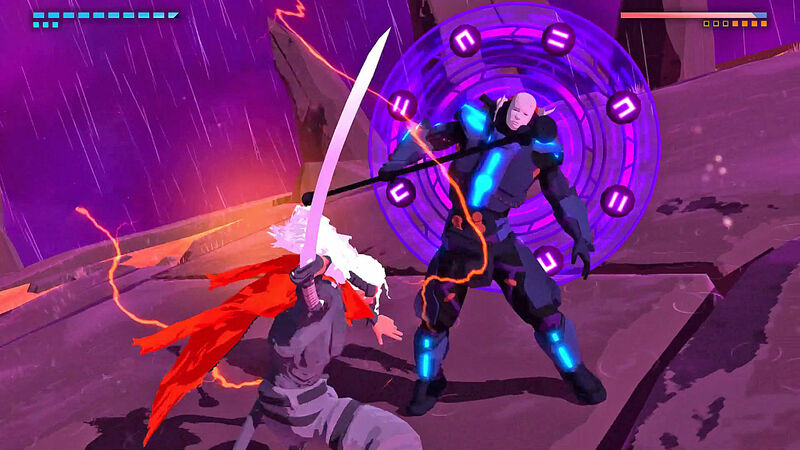 Furi becomes a great game after truly mastering each boss. 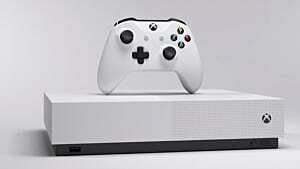 However, the easy difficulty reduces each boss to 2 or 3 stages, multiplying the amount of lives the player has considerably, and allowing you to secure victory with several well placed hits. There is no need to master dodging or blocking or even utilise those crucial mechanics in certain scenarios. 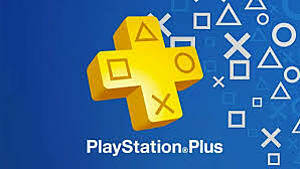 Even if you’re finding the game too challenging I urge you to press on, for the easy difficulty strips from the game what makes it great in the first place. Minor Spoilers Ahead! Don’t read until you’ve beaten the last Jailer. Finally I wish to leave you with one last point. And it’s more of a tip rather than a critical insight. 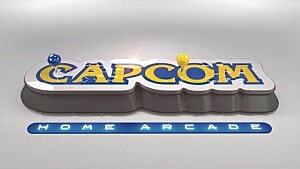 Don’t be fooled by the game's closing credits. It’s not over yet. A final secret boss can be faced after the game's ending sequence. And needed clarity is provided for the overarching narrative. It wraps up the game nicely and provides the developers with a sneaky incentive to make you sit through their closing credits. 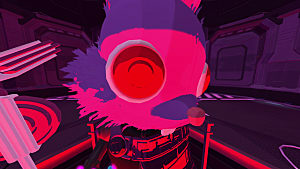 Furi is a surprisingly deep indie experience. Seeping from its pores with aesthetic and simple yet overwhelmingly brutal gameplay. This is a testament to what bite size games can accomplish and is possibly one of the greatest surprises of 2016. Furi is a surprisingly deep indie experience. Seeping from its pores with aesthetic and simple yet overwhelmingly brutal gameplay.